The Arabic word “turba” means “tomb, tombstone.” This term applies only to Muslim shrines located in Jerusalem. 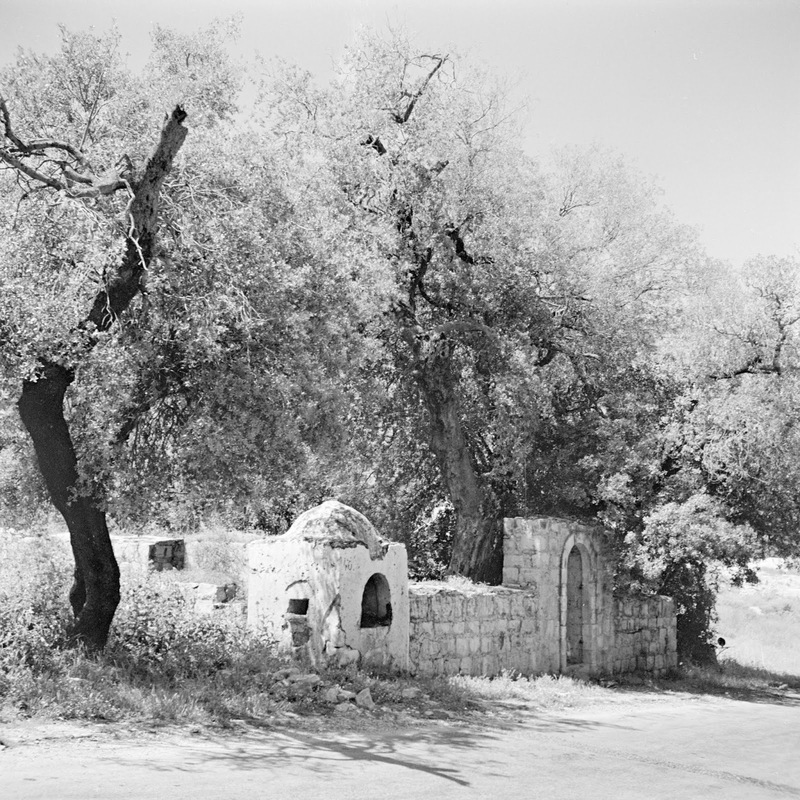 Outside Jerusalem such burial structures are called in Arabic “maqam” (“place, stop, stand”), if a sheikh, imam or someone very important is buried there; or more generally – “kabr” (“grave”). Note also that the word “turba”, when used with a proper name of a person or a place, is used in the form of “turbat”. 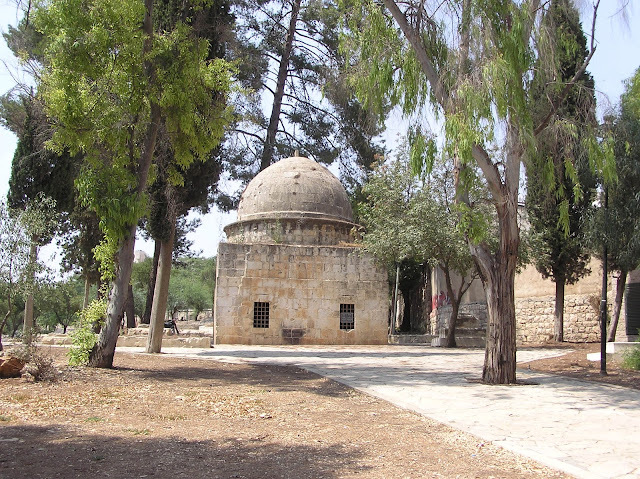 This exemplary tomb is located in the heart of Jerusalem, on the territory of Muslim cemetery Mamilla Cemetery, opposite the former hotel “Palas”. 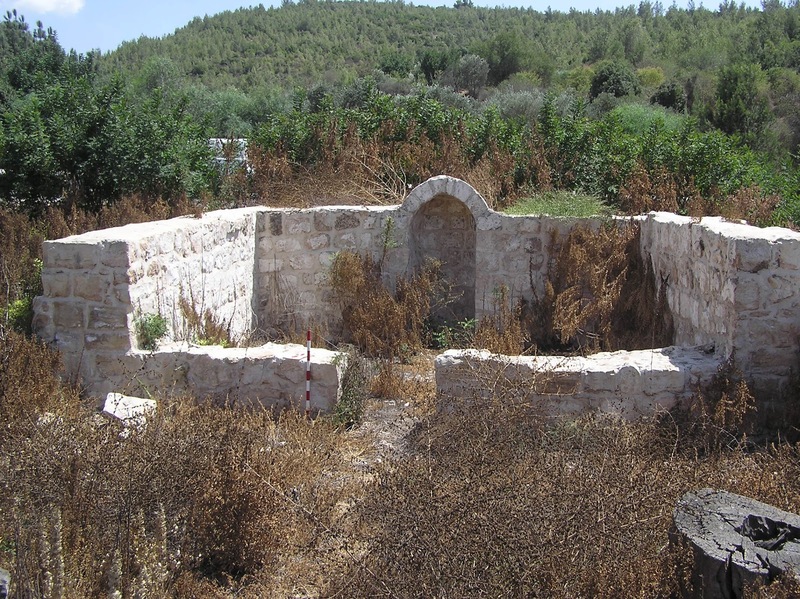 Built in the Mamluk era, it is well maintained and still preserves its primordial appearance. 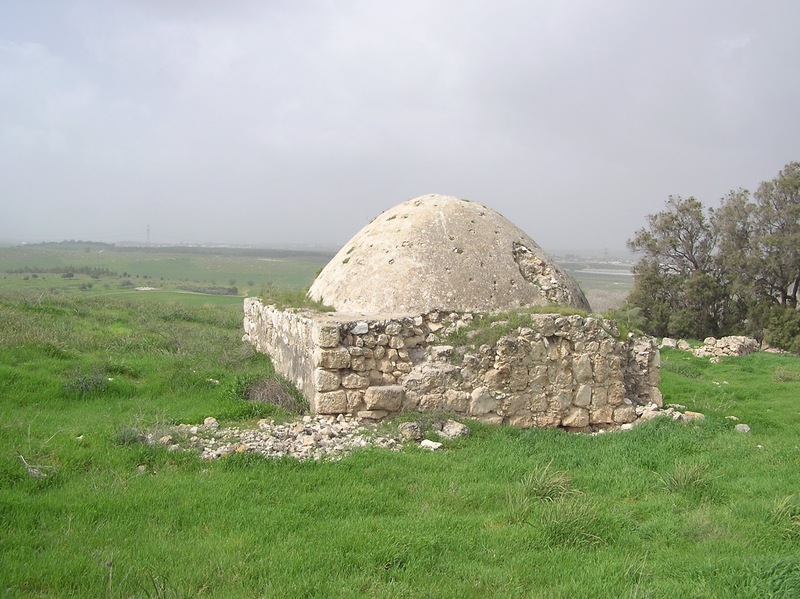 In this turba is buried emir ‘Ala ad-Din Aydughdi ibn ‘Abdallah al-Kubaki (hence the name), the ruler of Safad and Aleppo in the times of Mamluk sultan Baybars. He died in Jerusalem in 1289 and was buried with great honors. This is how Muslim historian of 15th century, Mujir ad-Din, described the tomb: “The Zawiyeh al-Kebekiyeh. 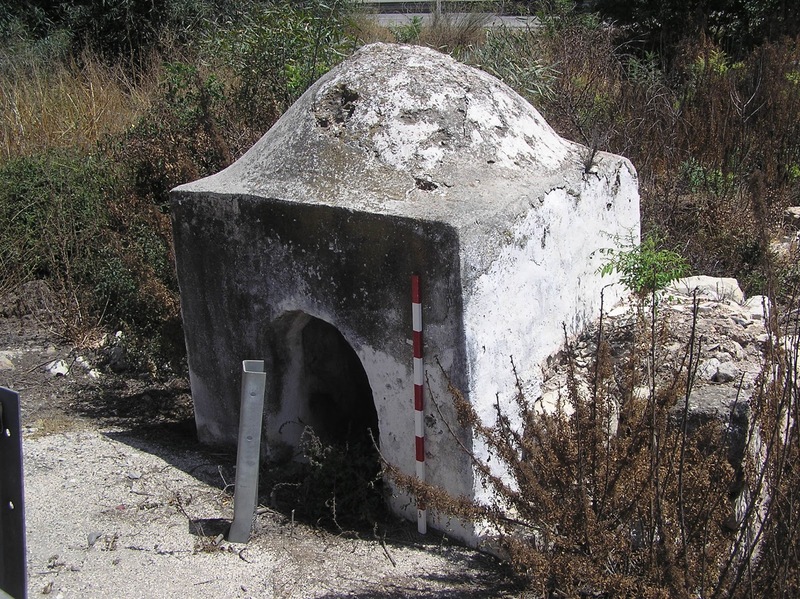 In the cemetery of Mamilla there is a well-built kubbeh known by the name of al-Kebekiyeh, after that of the Emir 'Ala ad-Din Aydughdi, the son of 'Abd Allah al-Kebeky”. 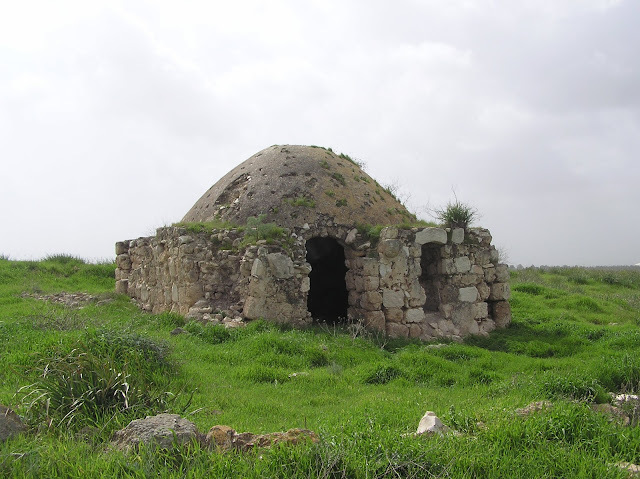 “Kubbeh”, “Qubbat” – “dome, structure with a dome" is another synonym for the word "tomb”. 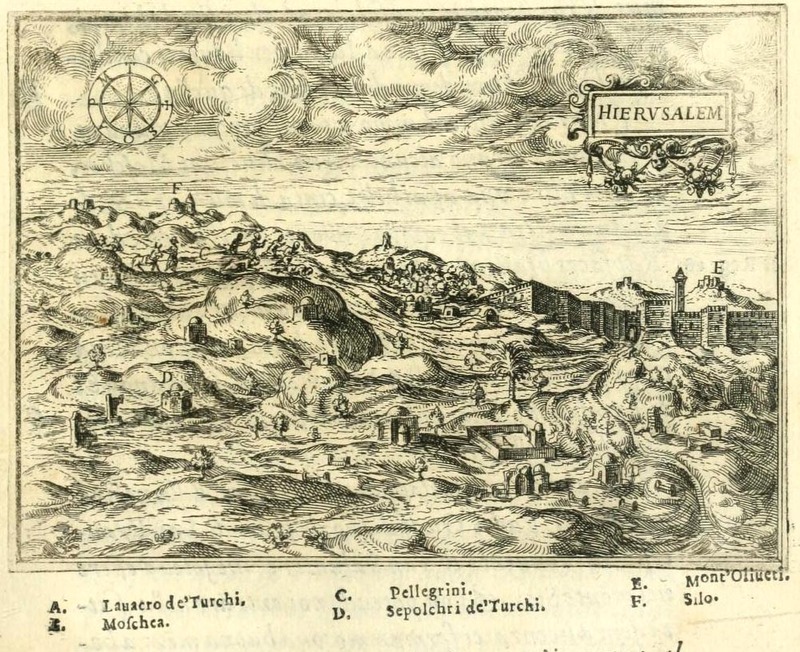 Turbat al-Kubakiya might have been charted on the map of Jerusalem, published in a book by Jean Zuallart “Il devotissimo viaggio di Gerusalemme” (1587), under the name of “Sepolchri de Turchi” (“Turkish tomb”). There are English and Spanish versions of this map. One can see that the structure is located on the territory of a Muslim cemetery not far from the road leading to the Jaffa Gate. 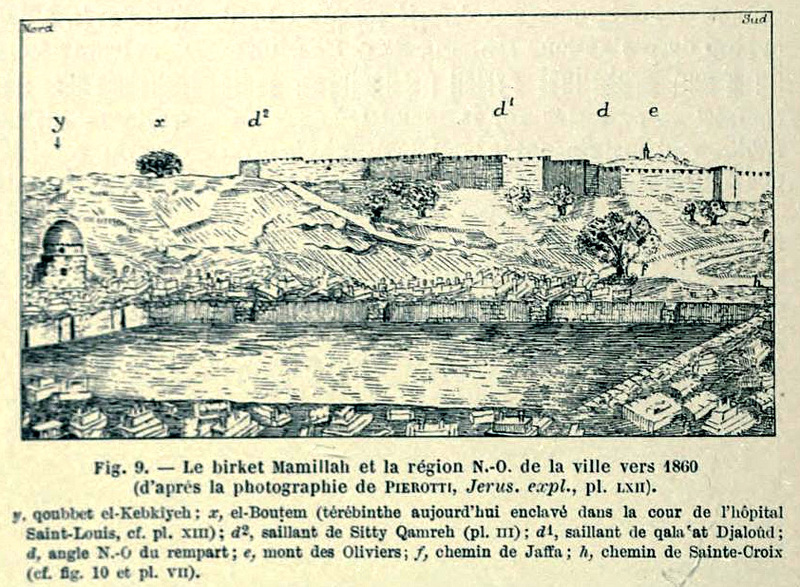 On the French map of Jerusalem in a book published in 1629, Turbat al-Kubakiya has a crescent on the top of the dome and is located near the pool, now known as Birket Mamilla. Perhaps, once a crescent really used to crown the turba. There is no crescent in the drawings made in the 19th century. “Nabi Bulus” in Arabic means none other than St. Paul, the hero of Acts and the author of fourteen epistles from the New Testament. It is believed that Muslims hate Paul for misrepresenting the true teachings of Prophet ‘Isa, i.e. Jesus Christ, and instead of the true religion of Allah, preached by ‘Isa ibn Maryam, created Christianity. Modern Muslims may think so, but their ancestors thought differently. In the Middle Ages Muslims revered Paul as one of the prophets. A prominent Islamic scholar Ibn Kathir (1301–1373), for example, in his interpretation of the Quran mentioned messengers Shamoun (Simon-Peter), Yuhanna (St. John) and Bulus (Paul) as faithful followers of Prophet ‘Isa. 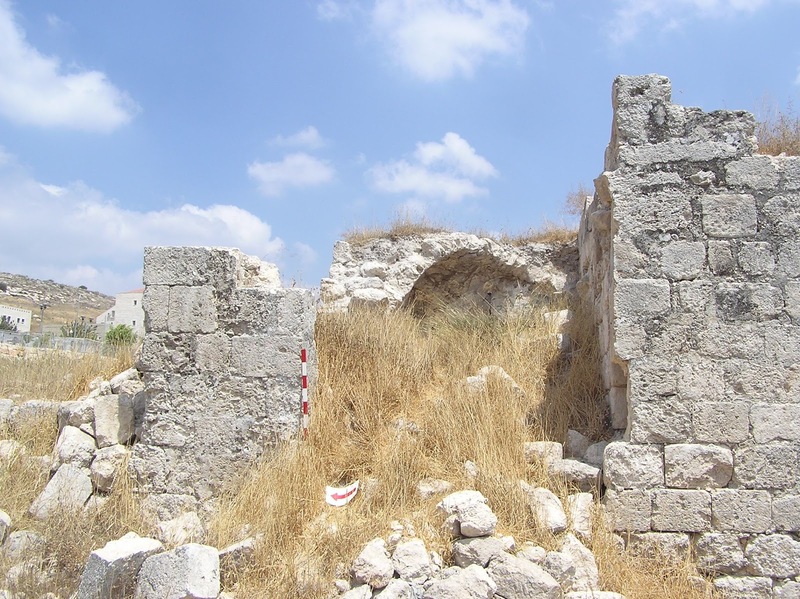 Speaking about Bulus, Ibn Kathir pointed out that he preached in Antakya (Antioch of Syria). It is clear that information about Bulus-Paul Islamic scholar learned from church tradition. 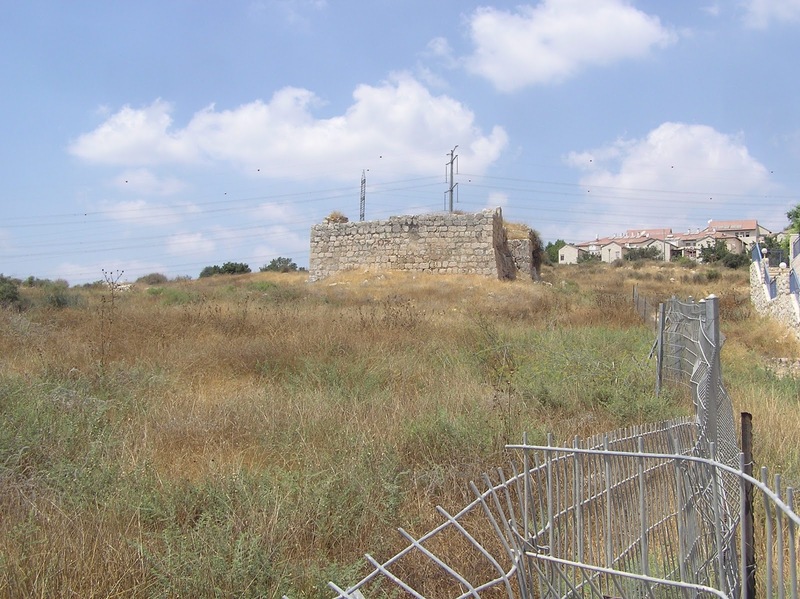 The tomb is located to the south from Beit Jimal Monastery and is directly adjacent to residential areas in Ramat Beit Shemesh. 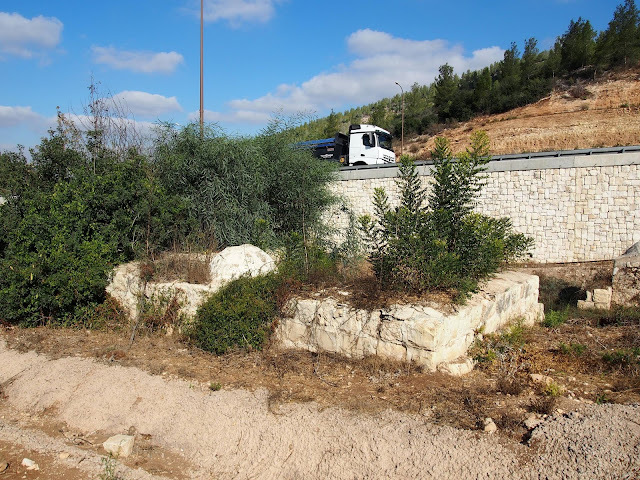 It can be clearly seen from the Highway leading to the interchange Beit Shemesh Darom. 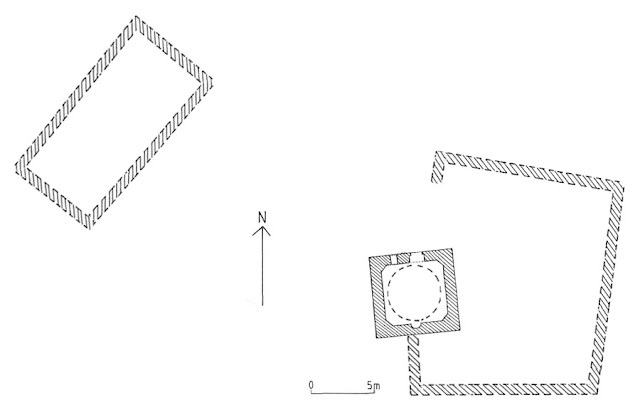 Structure consists of the tomb itself, 4.5 x 12.6 m (rooms A and B), and the Prayer hall (mosque), 6.4 x 12.6 m (room C). Under the Prayer hall there is quite a spacious storage with a pointed vault. 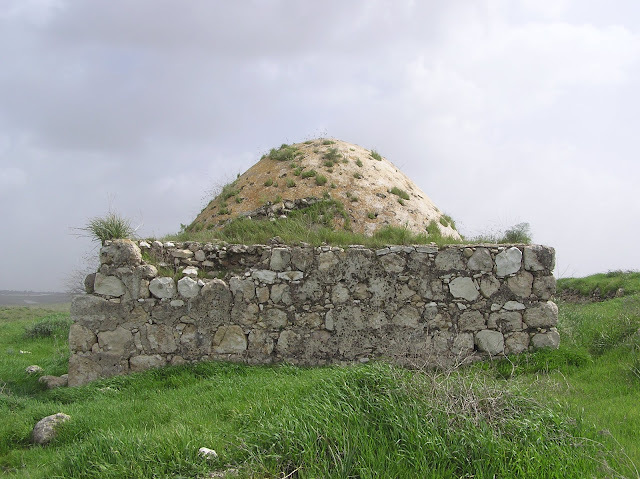 A Burial chamber is crowned with a small dome. Not so long ago a stone cenotaph of nabi Bulus could be found in the tomb (A. Petersen still had a chance to look at it in 1994); but now it is not there, though one can easily identify the spot on the floor where it was standing. 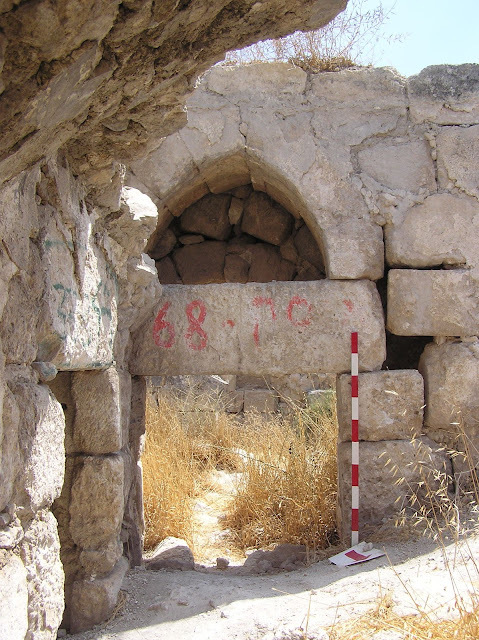 In the religious complex were from the north, through the central arch. 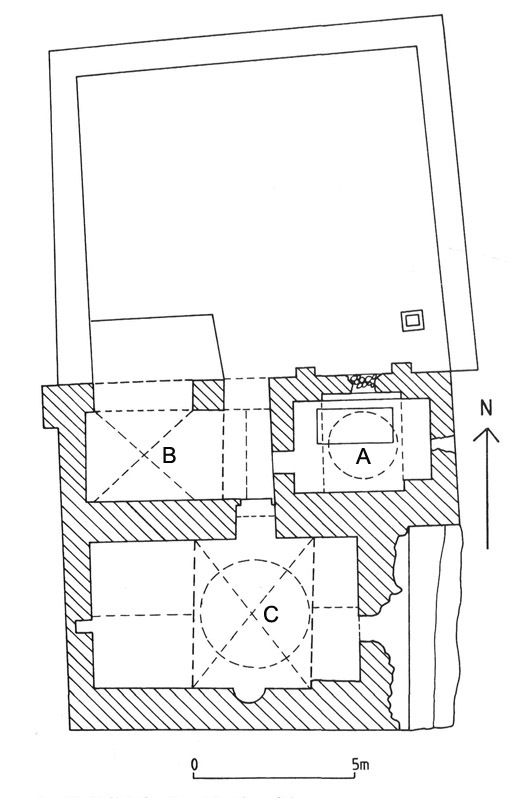 So the room B can be considered as a hallway or living room, from which one can get into the Burial chamber (A) and the Prayer hall (C). According to the Western Christian tradition, Paul was beheaded in Rome and buried in the same city. Recently under the altar of the Roman Temple of San-Paolo-Fuori-le-Mura a sarcophagus with fragments of human bones, in which they saw the remains of the great “Apostle to the Gentiles”, was opened. However, the Muslim tradition holds that Paul died in Palestine and was buried in the Holy Land. Khirbet an-Nabi Bulus – a small hill, where the concerned tomb is situated – has long been known. It is noted by E. Robinson, E. Smith and other travelers of the first half of the 19th century. 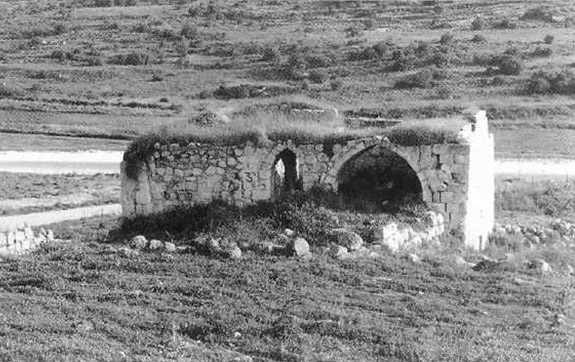 V. Guérin in Description géographique, historique et archéologique de la Palestine says: “This Muslim tomb should be better called the sanctuary or a small Christian Monastery in honor of St. Paul. 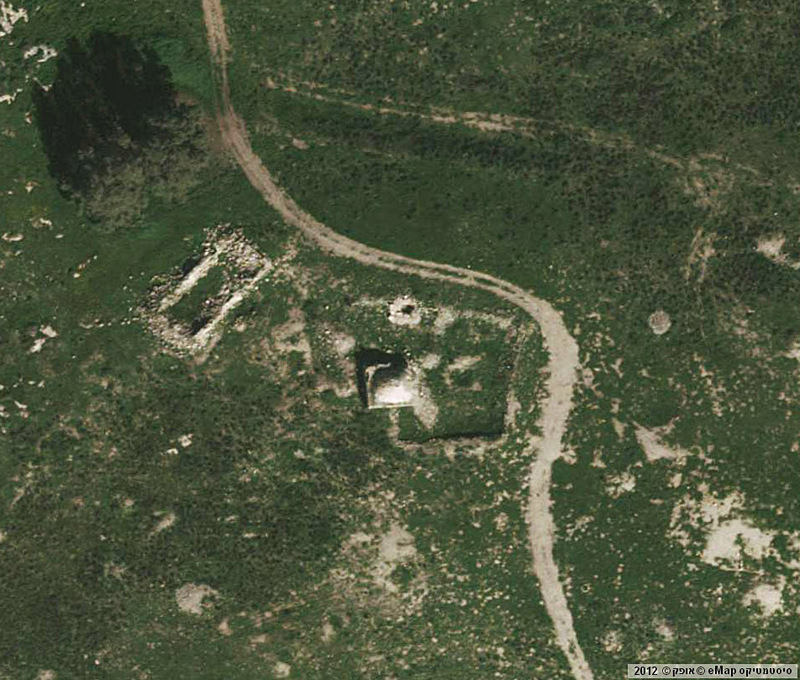 Anyhow, the wall surrounding it, judging by its remains, was partly built of blocks of pre-Islamic era” (Judee II 374). 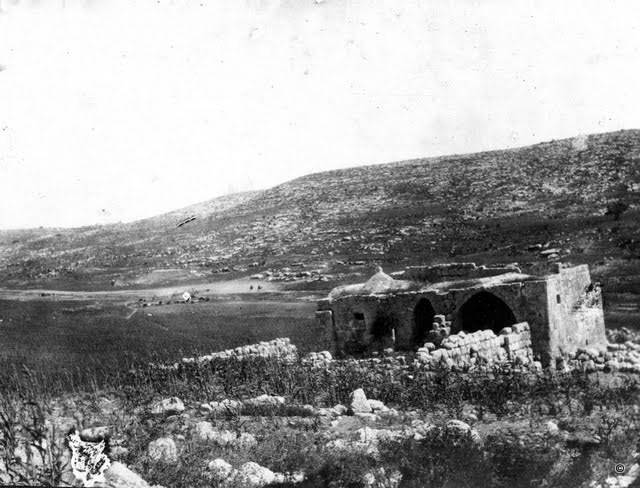 C. Conder in his The Survey of Western Palestine gives the description of the tomb: “Heaps of stones round a Kubbeh. 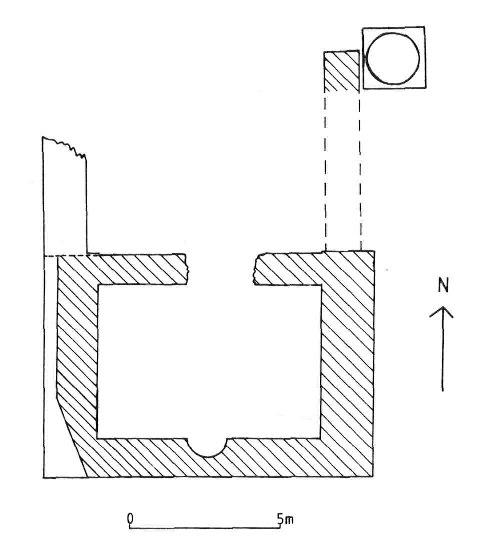 The latter is modern, with a cenotaph and a vault below, which looks like Crusading work, and is entered by a door on the west having a lintel with an ornamented boss. North of this building is a fine birkeh. The site has evidently been that of a small village” (SWP III 123). V. Guérin was inclined to attribute the beginning of the construction of this monument to the Byzantine period, and C. Conder – to the time of the Crusades. However, they both ascribe its construction to the Christians. In this case, it is difficult to imagine that Christians would place the burial place of the Apostle Paul here ignoring the tradition of the Church, which states Rome as his death place. 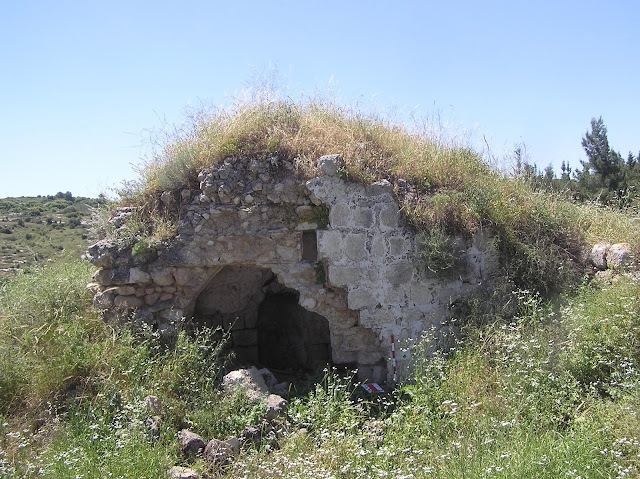 The only option remaining is to believe that this building became the Tomb of nabi Bulus later, when the Muslims took possession of it. 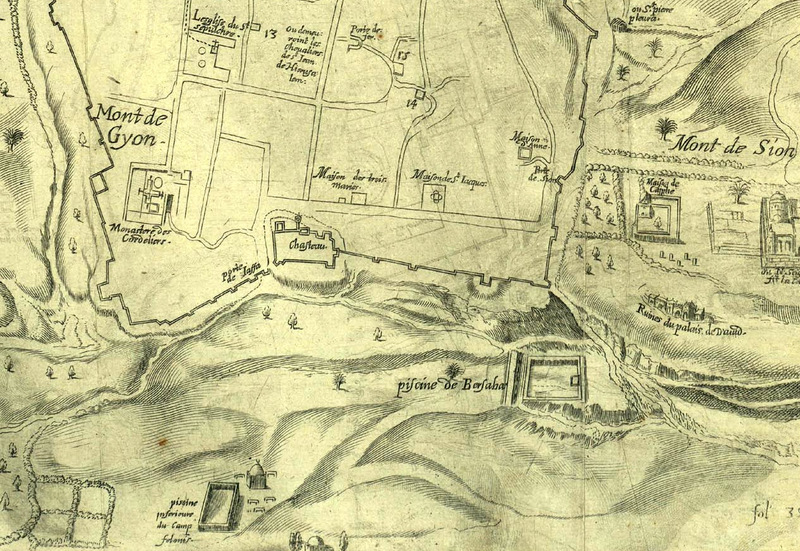 Perhaps, according to the assumption of V. Guérin, Muslim's notion of the matter was influenced by the fact that a Christian monastery that once existed in this place was named after Apostle Paul. 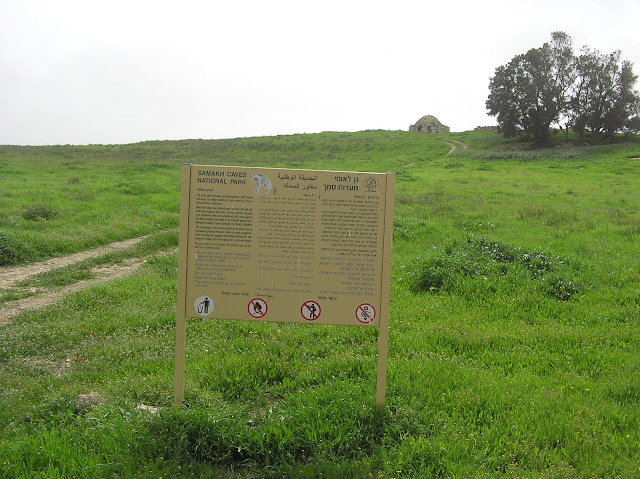 In 1999, the archaeological excavations were carried out to the north of the tomb; traces of this are now no longer visible. 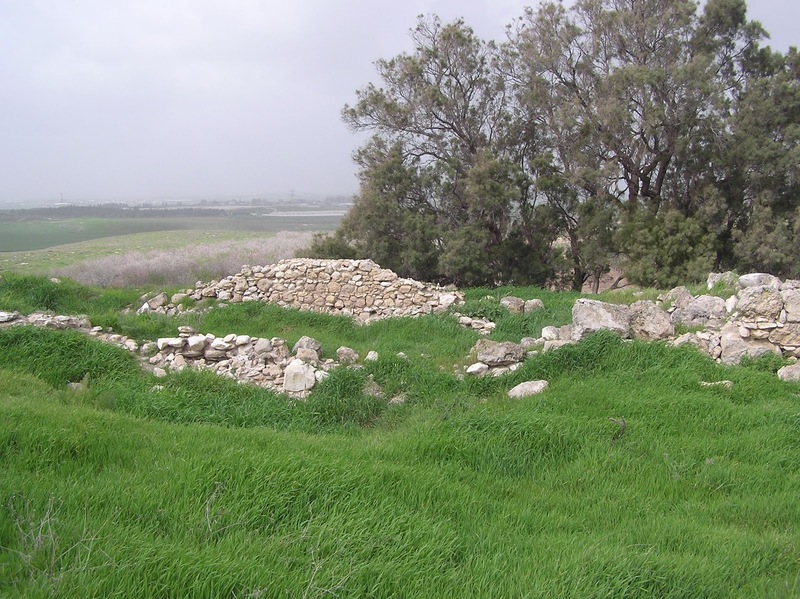 They found pottery and other artifacts dated to the period of the Abbasid and Mamluk. 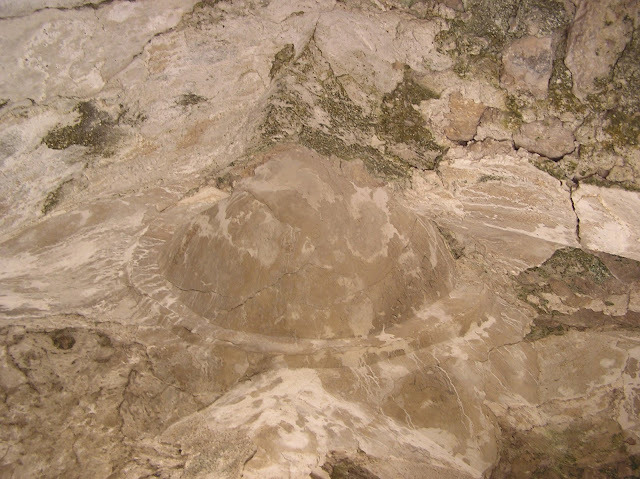 As well as the remains of the cistern, about which V. Guérin and C. Conder were talking. Its construction dates back to the same period. The important thing is that archaeologists didn’t find anything that belonged to the Byzantines, the Crusaders, and Christians in general. From this point of view the assumption of V. Guérin and C. Conder about the existence of a Christian monastery here is doubtful. Therefore, identifying this place as a burial place of nabi Bulus (St. Paul), Muslims relied on their own tradition. Now the tomb of the person, to whom Christianity owes its triumph, is in an neglected condition, filthy condition. 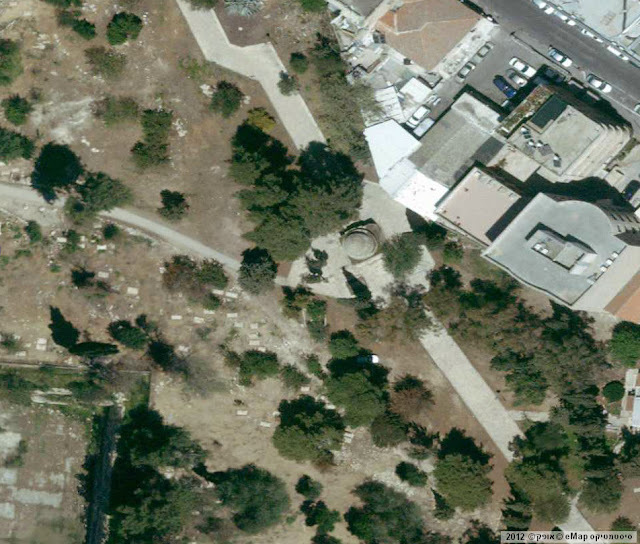 Local residents, who inhabit Ramat Beit Shemesh, use it as a dump and a toilet. Judging by the pictures of the 1930s and photographs in the book by A. Petersen the monument goes to ruin rapidly. 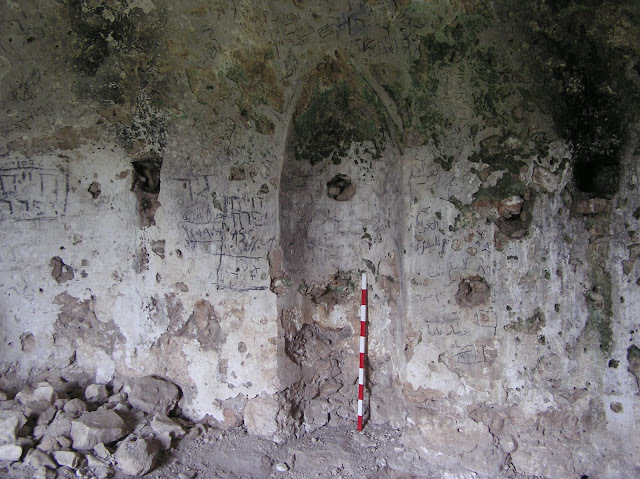 A large arch collapsed in front of room B and so did the ceiling of the Prayer hall (C). 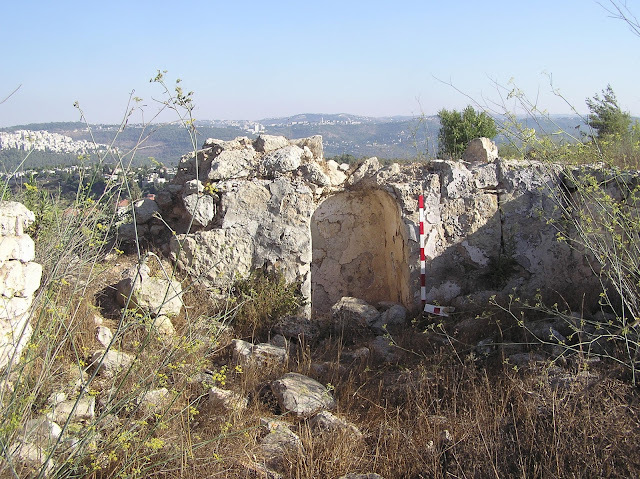 Further destruction is a threat to the tomb. 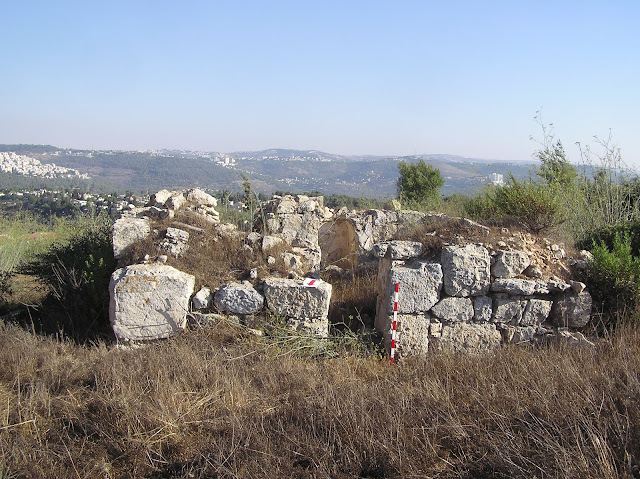 There are Umm Jina ruins (Hebrew: Hurvat Gannin) to the west from Beit Shemesh and to the south from Yishi moshav. 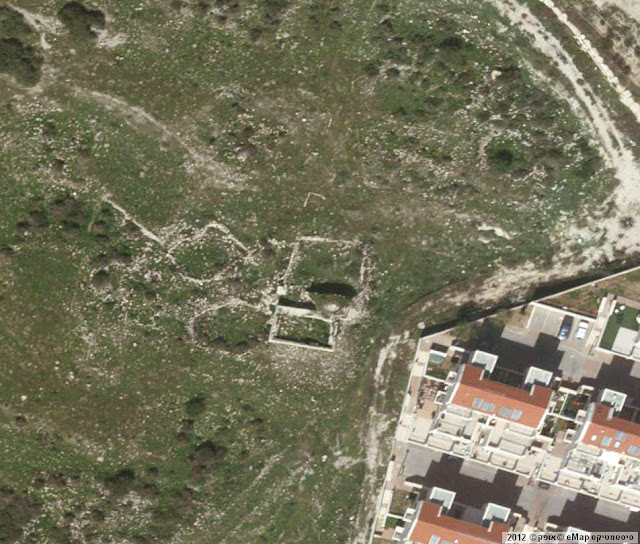 In 1863 V. Guérin who was in this little settlement when there were 40 families, did not mention any sanctuaries/this/the sanctuary (Judee II 28-29). But it was Ch. Clermont-Ganneau who noticed in 1874, “At Umm Jina there is the sanctuary of Nabi Heidar (is one of the names of the lion in Arabic)” (ARP II, 204). In SWP III 127 “Kubbeh called Sheikh Heider” is mentioned, which stands among heaps of stones and ancient foundations. On the detailed British map of 1942 the tomb of nabi Heidar on Khirbet Umm Jina. It Is obvious that one sanctuary is meant though called differently: “sheikh” or “nabi”. 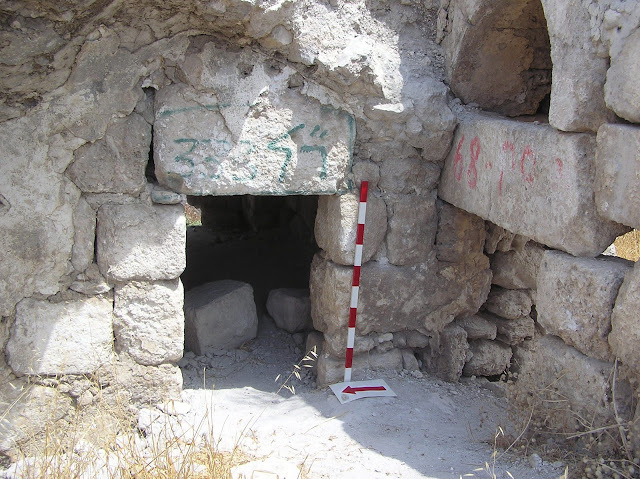 Now this structure is quite in ruins: a part of the eastern wall collapsed, the north wall near the entrance to the tomb is badly damaged. 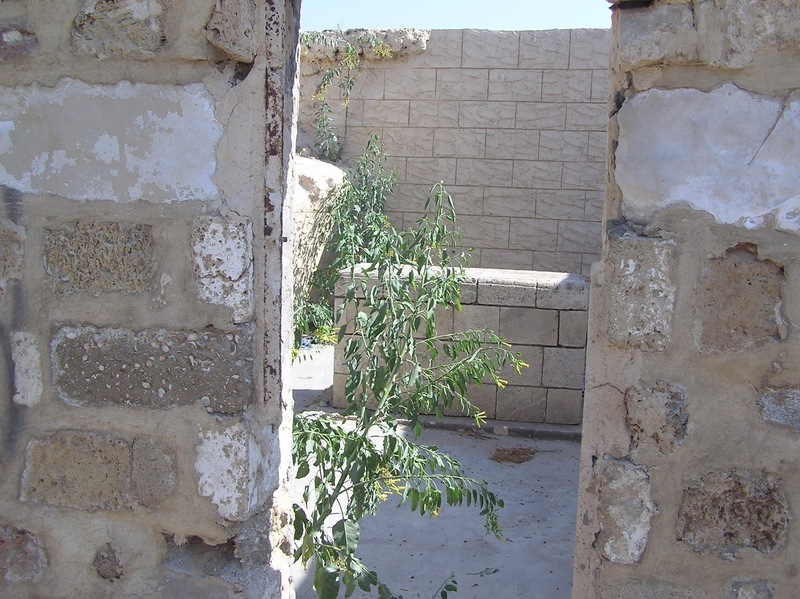 Here, near the entrance, the facing patches which strengthened the wall, are partly saved. 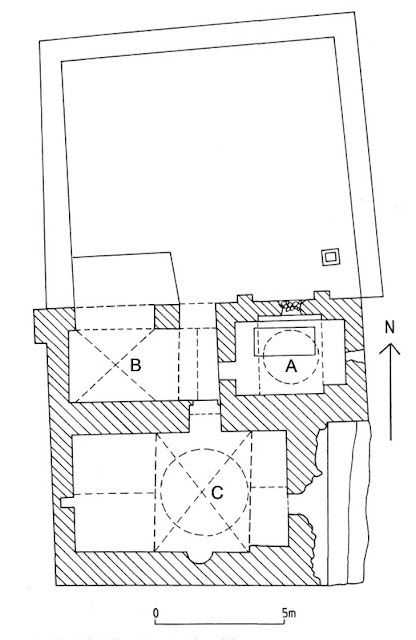 A spacious inner yard is adjacent to the tomb from the north; now only the basis of the tomb is left. In Arabic, a maqam means “place, stop, stand”. This name is used for the tombs of eminent sheikhs and other Muslim leaders. For Muslims it is a holy place. Therefore a maqam is also called a “wely” — a “shrine”. Usually travelers stopped and prayed at such tombs, and could even spend the night here (which happened quite often) if there was a special room for that. Maqams were not only the places of worship, but also guard points from which the roads were monitored and landmarks for travelers. 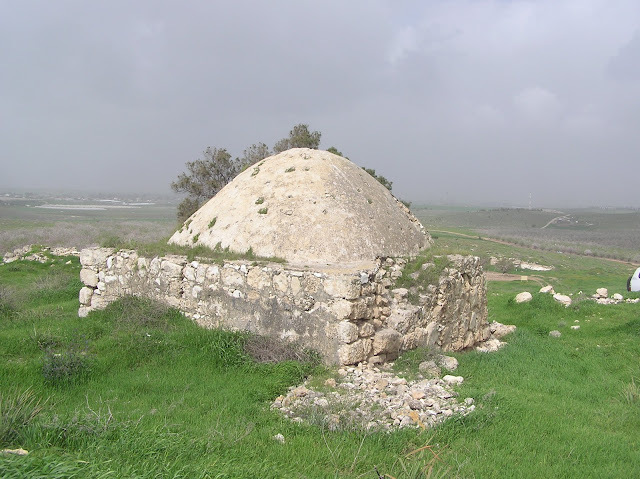 Therefore, as a rule, maqams were built on the top of a mountain or a hill, on the most prominent place. However, there were exceptions and some maqams were built not on the top, but in valleys, at important sections of roads and at crossroads. 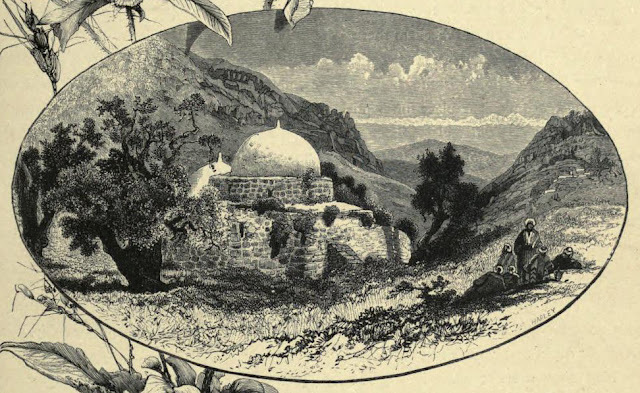 According to W. Thomson, "The domes cover the shrines of reputed prophets, or holy men; a sort of patron saints very common in this region. 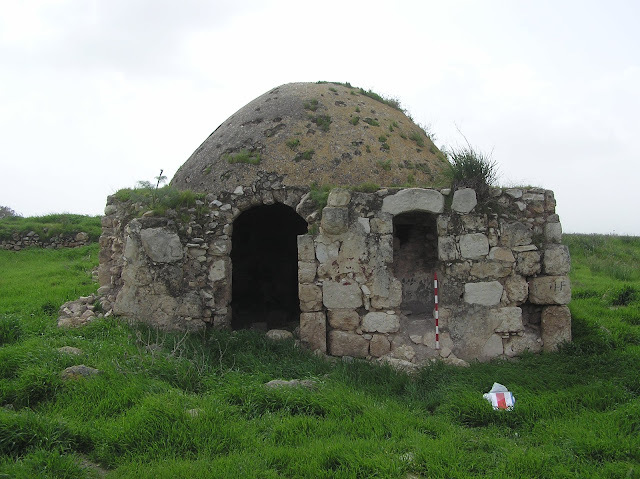 Each village has one or more, and, besides these, every conspicuous hill-top has a wely or mazar, beneath spreading oak, to which people pay religious visits, and thither they go up to worship and to discharge vows" (1859, I 203–204). Not all maqams represent an actual burial place of a sheikh. Maqams were often erected in memory of a particular activist long after his death. The maqams of such kind are, for example, maqam Abu Huraira in Yavne, maqam Abu ‘Ubayda and Mu‘az ibn Jabal in Emmaus, and some others. 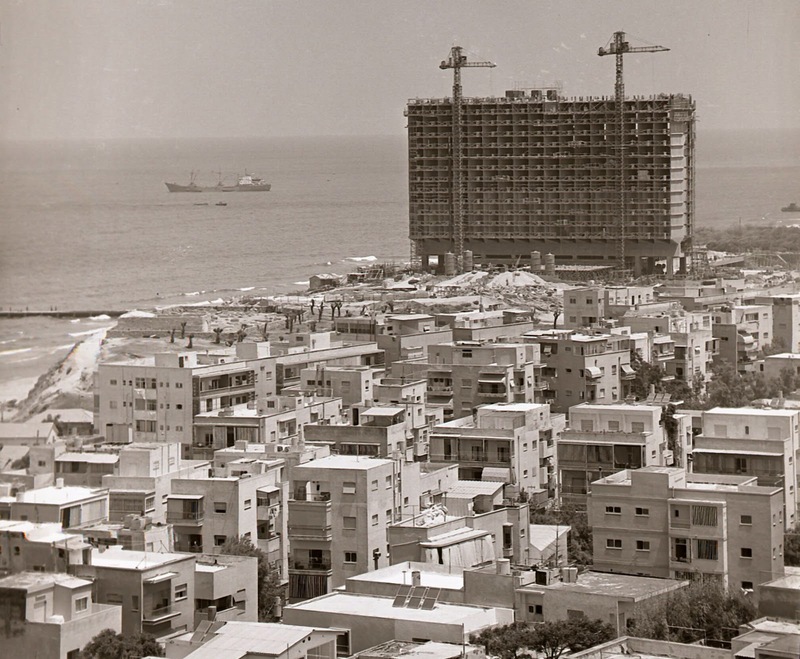 Until 1948, all maqams were working, kept by the locals: Palestinian Arabs. After the establishment of the state of Israel many Arab-Palestinian villages ceased to exist: their inhabitants were either banished or had to leave their homes. Muslim shrines have been left to the mercy of fate. 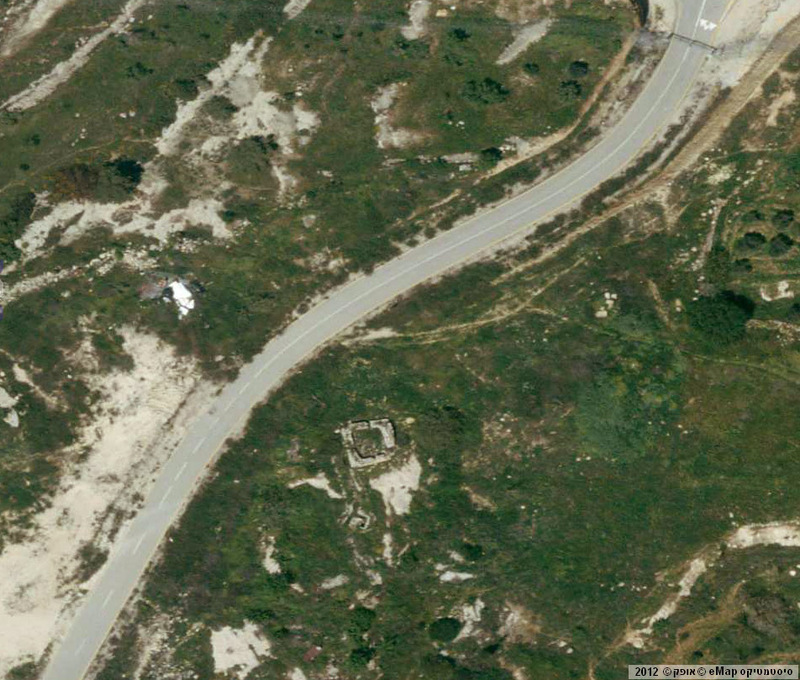 This maqam is seen by everyone driving along Highway 1 from Jerusalem to Tel Aviv. 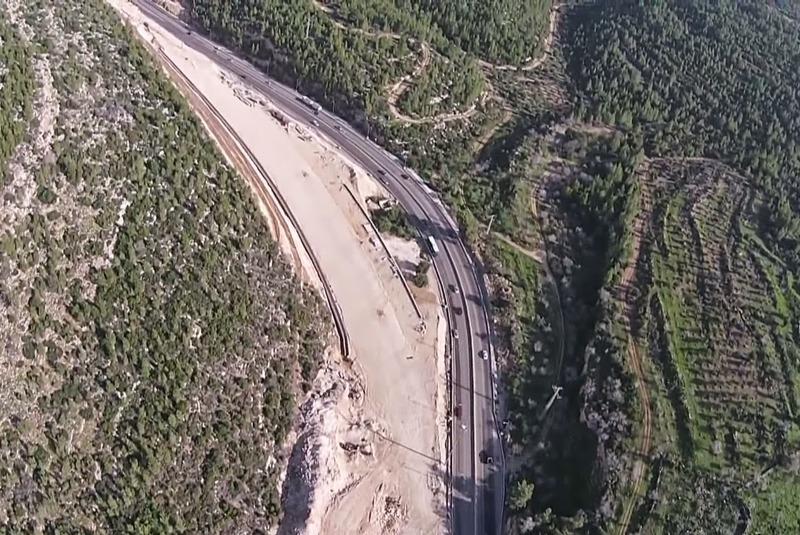 The only part of the main Israeli Highway (between road Interchanges Shoresh and Sha'ar ha-Gai) where it splits, leaving some space between the traffic lanes. This is where Maqam imam ‘Ali is. Actually, it is an open air mosque (musalla). 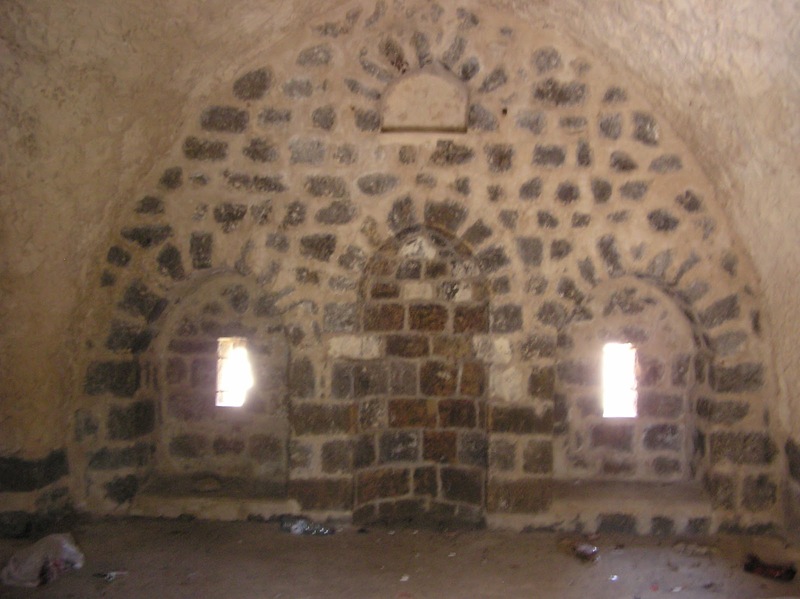 A small prayer area surrounded by the wall of 2.2 m high, except for the northern part of it, where the height of the wall is only 0.5 m. The mihrab in the south wall rises slightly above the walls. A small sabil (1.6 x 1.65 m) with a dome and an arched opening on the north side is adjacent to the mosque from the northeastern side. 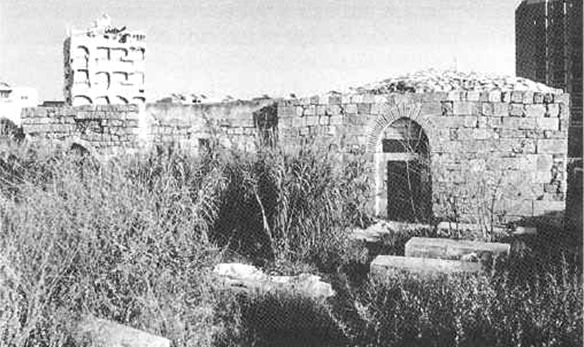 Judging by the photo of the 1930s, there used to be another court to the north of the prayer area, also surrounded by a wall and with a high arched entrance. Now the yard is completely destroyed. The purpose of this shrine appears to have been to offer a place of prayer, rest and refreshment for travellers on the road (Petersen 2001, 155). It is unlikely that a cenotaph ever stood inside the mosque. This building was just dedicated to imam ‘Ali. There is the following legend about imam ‘Ali. One day he met a little girl who was bitterly crying. He asked her: “Why are you crying, little girl?” “Mom told me to bring a jug of milk”, she said, “but I dropped the jug and spilled all the milk. What am I going to tell my mother?" Imam ‘Ali felt sorry for the girl; he took the handful of the ground in the place where the spilled the milk and squeezed it in his hands, so that the milk little by little was dripping back into the jug. Girl's joy was indescribable. But the ground was in pain and said to imam ‘Ali: “Remember, the day will come when we get even.” And when the imam died, he was buried in the ground with all the honors. The next day the earth rejected the body of ‘Ali. Then the body was buried at another place, but the same happened. The situation repeated several times. The ground refused to accept the body of imam ‘Ali. Therefore, there are several tombs with his name. Imam's camel was the one to help him find the peace at last. He was wandering all over the country for a very long time to find a burial place for his master. Finally, in one of the places the camel sank wearily to the ground: here that the body of imam ‘Ali was buried and the place became sacred to the Arabs. V. Guérin refers to this structure as “la koubbeh d'un santon vénéré dans le pays la dénomination d'Abd al-‘Aziz” (Judee I 263). 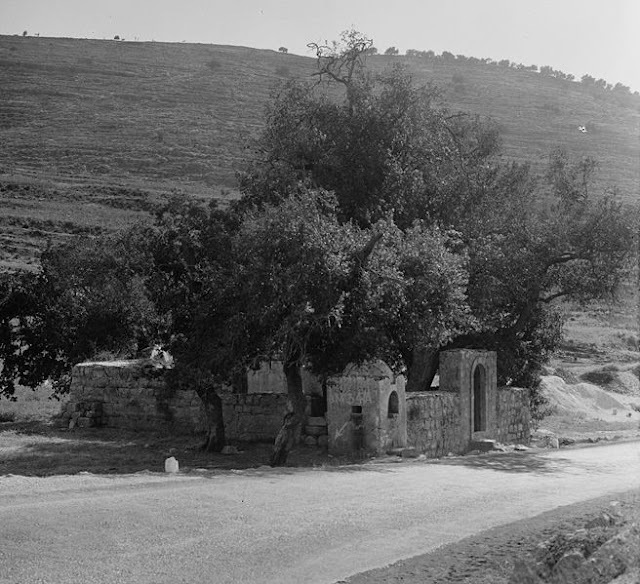 T. Canaan points out that near Maqam there is a water reservoir, hewn in the rock (1927, 10). In his time Conrad Schick considered Maqam sheikh Abd al-‘Aziz as a possible burial place of the biblical Rachel, since the Arab people call it “Kubbat Rachel” – Rachel's Tomb (Palästina-Vereins IV 248–249). Now more than a half of maqam is in ruins. Dimensions: 6.75 x 6.15 m. Entrance is on the north side, mihrab is in the south wall. In one of the side walls might once have been a small window. Cenotaph is also lost. Route. In Mevaseret Zion climb Mount Ahiram till the memorial tower; the north of it there is a water tank and the next to it a fence with the gate. Keep straight forward for 100 meters on the right side of the road. The gates in the fence are sometimes closed. 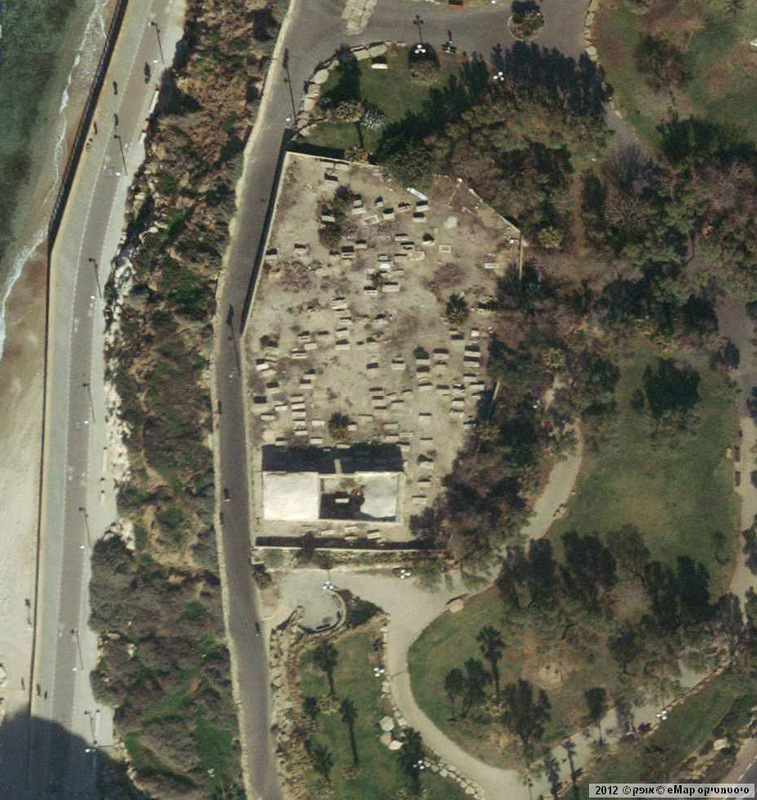 On the Tel Aviv coast, not far from the luxury Hotel “Hilton” in the Independence Park, there is an abandoned Muslim cemetery located on a small hill. 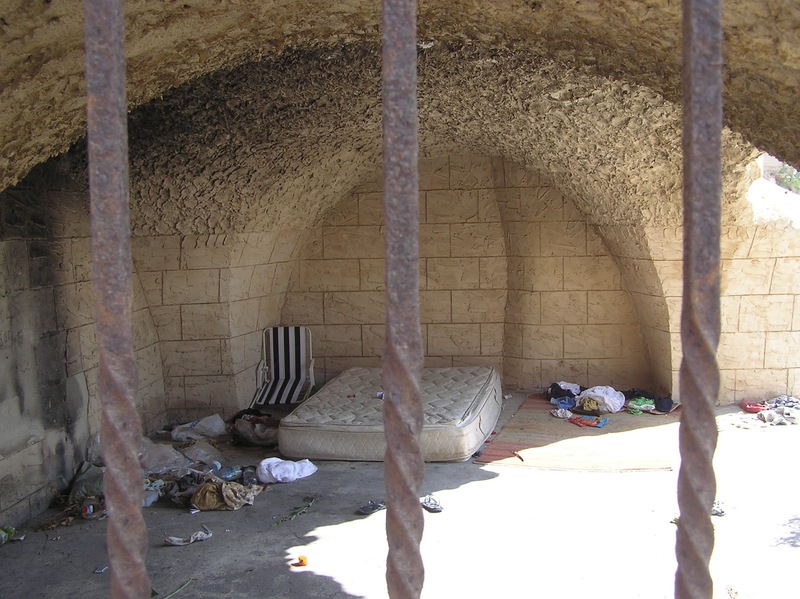 It is the Maqam of ‘Abd an-Nabi, which now looks more like a slum area. Once they tried to restore it, but not very successfully. Finally they simply stopped taking care of it. People strolling along the promenade use it as a dumping-ground for empty bottles. ‘Abd an-Nabi means “the servant of the Prophet [Muhammad]”. 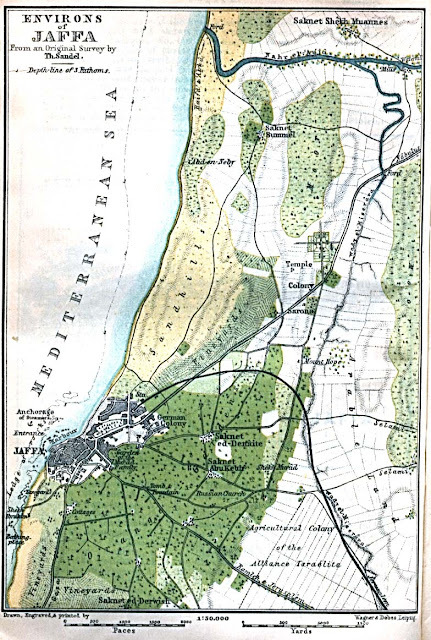 Maqam appears on maps of Palestine of the 19th century, long before the foundation of Tel Aviv. It is in many ways similar to the Maqam sheikh 'Awad in Ashkelon (see below), also located on the coast. 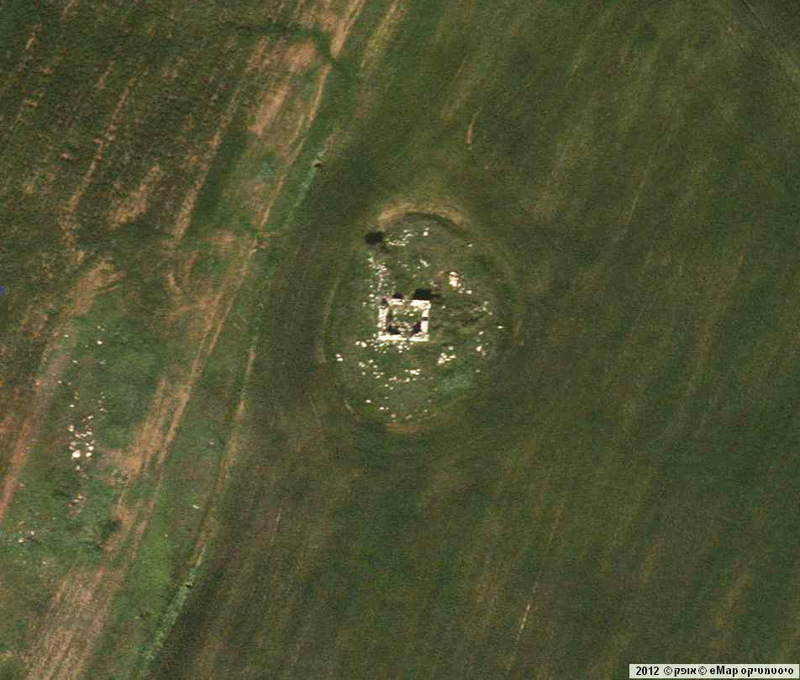 And it has the same three-part structure: the tomb in the center and two adjacent arched rooms on the sides of it. Though the maqam of ‘Abd an-Nabi had been built a long time ago (15–16th century — Petersen 2001, 299), the Muslim cemetery came into existence only in 1902 after a terrible epidemic of cholera in Jaffa. 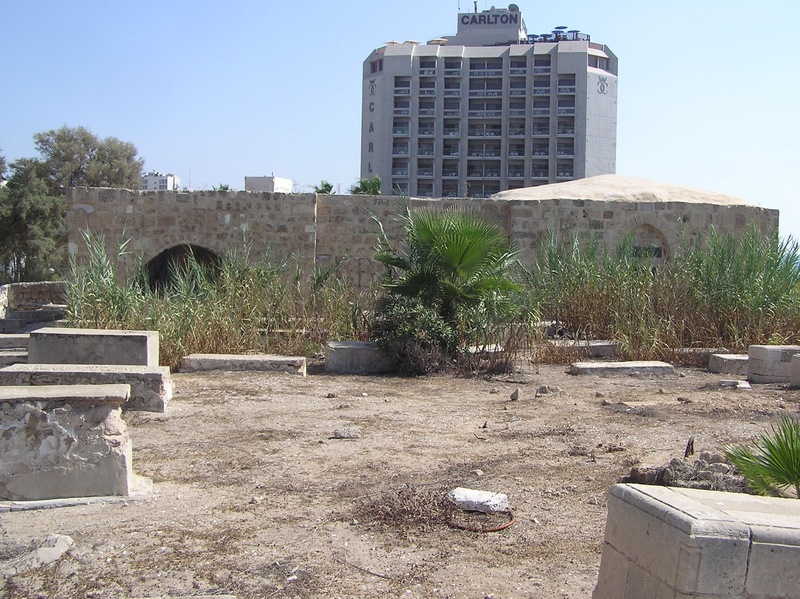 With the expansion of Tel Aviv the Muslim community in Jaffa was cut off from the cemetery and they buried here no longer. Initially the cemetery occupied the area of 34.338 square meters, but after the construction of the hotel “Hilton” in 1963 was reduced to a tiny size. Even back in the 1940s it was noticed that young people of both sexes sunbathed in their underwear on the tombstones, and little boys defecated in the maqam. 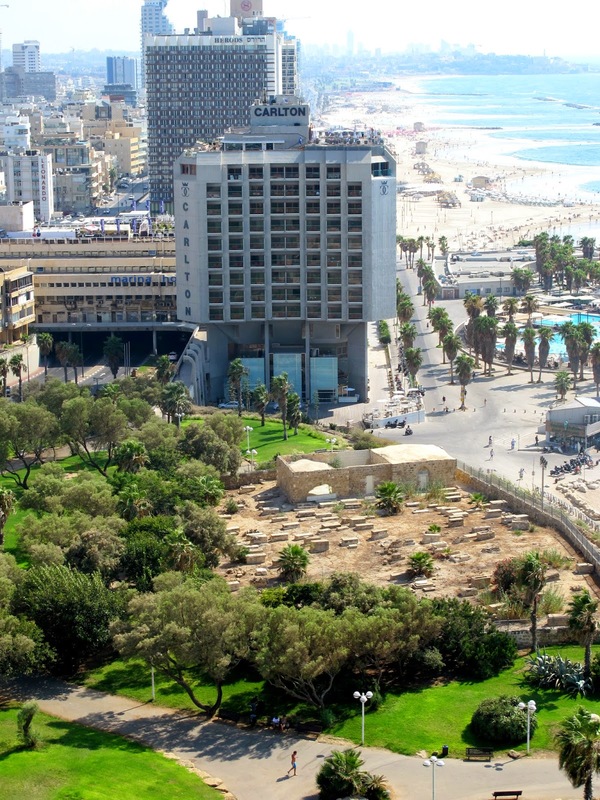 Letters from indignant citizens of Tel Aviv are kept in the city archives. It is true, though, that we do not exactly know what were the citizens indignant at: the desecration of the Muslim monument or obscene look of Jewish youth. 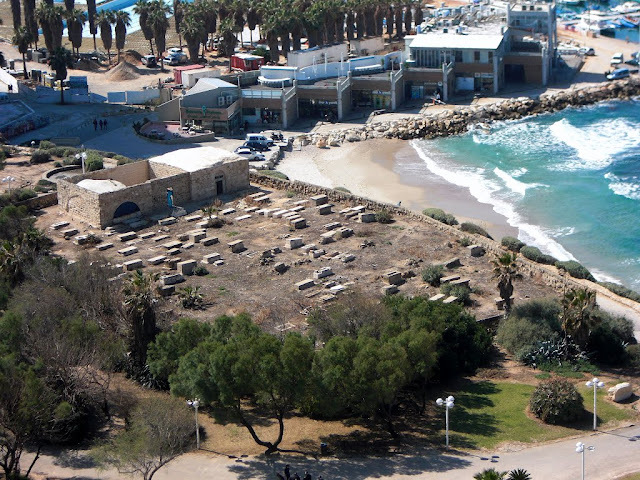 In Ashkelon National Park, on a steep cliff above the sea, lie the remains of a Muslim building surrounded by a fence because it’s under the threat of collapse. This is Maqam al-Khidr or the Green Mosque. The structure dates back to the Ottoman period. 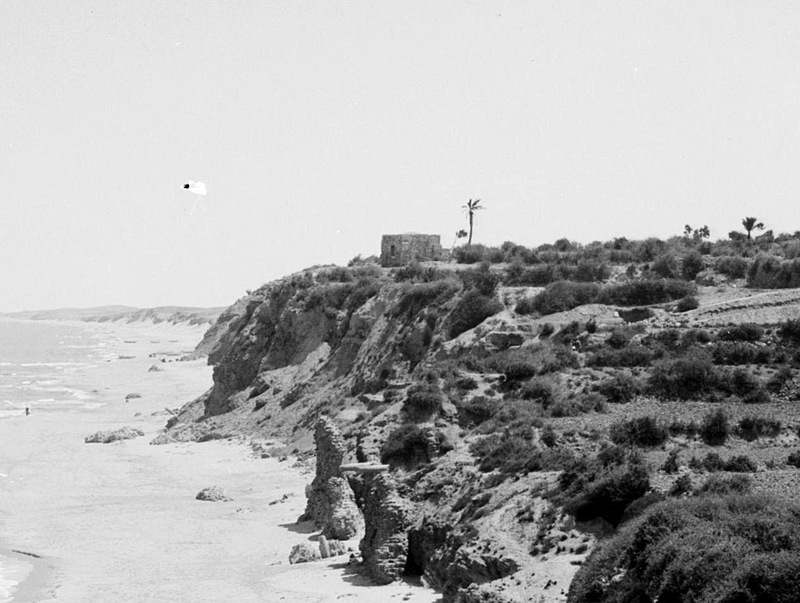 C. Conder, after examining it in 1875, gave this description: “There is a small building on the cliff, to which the name el-Khudra is now given. It measures 9 paces either way, with an entrance on the north, on which side is a porch of the same size. The windows of the building have round arches, and it may perhaps be of early date.” (SWP III 240) Apparently, the structure originally was not a tomb, but a mosque or a praying house. 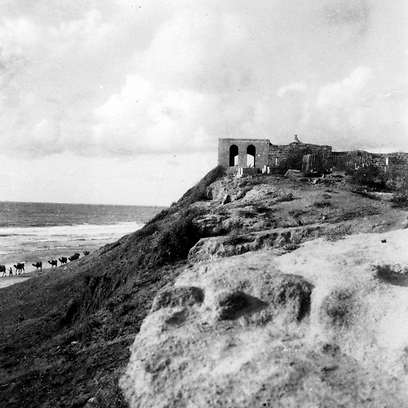 Describing the ruins of Ascalon, A. Olesnitsky mentions “Arab chapel” that stands over the sea, where he spent the night as many bypassing Europeans usually did (II 202). Though this building is dated to Ottoman period, it can be possible that a sanctuary has been existing here long time before. A Sufi traveler, 'Ali al-Harawi (d. 1215) writes as follows, “I was in Askalon in 570 (1174) and spent a night in the chapel devoted to Abraham. The prophet came to me in a dream. He was surrounded with a few people. I bowed to him, kissed his hand and told him, “it would be good, oh God`s Prophet, to see this tower under Muslim control!” “It will be back under their control and will be as an example for the people”. – I woke up and put down this dream in details on the wall of the chapel located against Qibla, and added a date. Jerusalem and Askalon were taken over in 583 (1187). Many merchants and servicemen saw my inscription made in 570 (1174).